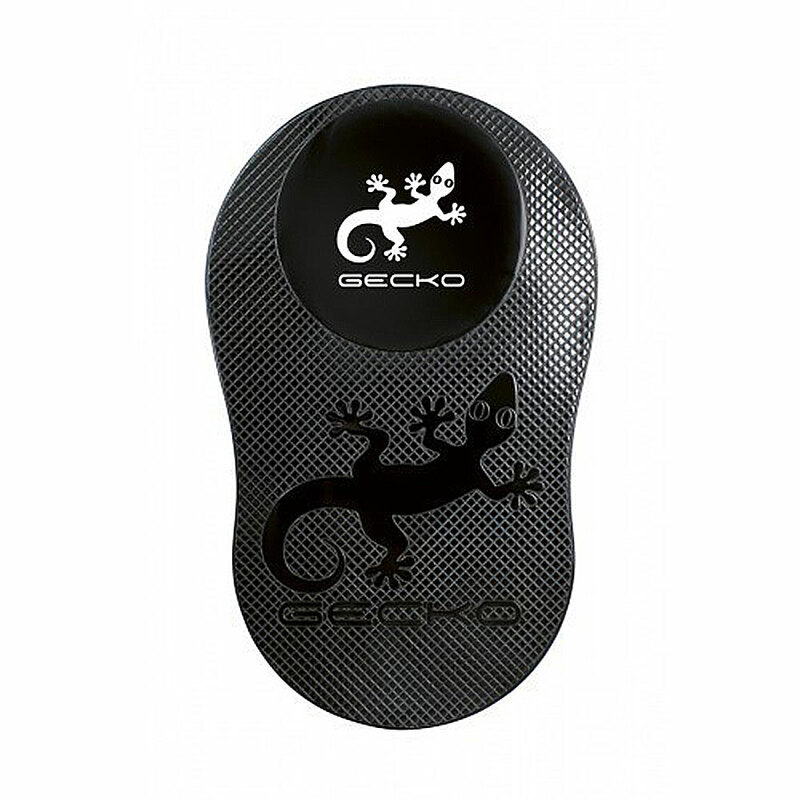 Inspired by the seemingly-miraculous way Geckos climb effortlessly on even smooth surfaces, these little patches of silicone adhere to dashboards and worktops etc to hold phones, sat-navs, sunglasses and other small items in place. We don’t know how it works, but it does so amazingly well. It’s not sticky to the touch, doesn’t leave a residue, and is endlessly-repositionable.